Boulder Heave is a Pyromancy in Dark Souls 3. To cast a Pyromancy, you must use a Flame or Special Weapons that can cast Pyromancy. Art of a stray demon of a stifled flame. The boulder is heavy, but shatters easily. This spell deals physical damage, not fire. Direct hits knock opponents down if they are not guarding. Has enough force to guard-break most shields in 1 hit, making it useful for dealing with enemies such as Lothric Knights and Darkwraiths. Has a horizontal range of about 2m and an unlimited vertical range, making it suitable for attacking from above. When the boulder hits the ground, it shatters, spreading chunks that stagger opponents and do heavy poise and stamina damage. Has some splash damage equivalent to the 45% of the damage of a direct hit. Best to use while fleeing, and then turning around to your target when they approach. Can be used against the Abyss Watchers. If timed well you can stun-lock the boss in both phases. Extremely beneficial spell against any player sized enemy period. Just look up any YouTube videos on this spell. Much better than carrying more weight imo. It scales with your flame&apos;s spellbuff (which scales with int/faith), but it is physical damage, so it also benefits from flynn&apos;s ring and lloyd&apos;s sword ring as well as your pyromancy rings, so you can pile up a lot of damage early on. However, the damage type is standard, not strike as you would intuitively guess. Since it&apos;s a blunt object, like a hammer or fist, does that make it strike damage? But what scales the damage? Is it still FAITH/INT despite the spell not being choas or dark damage? If you&apos;re the type that prefers to be up close and personal with bosses, this can work against the Demon Prince as opposed to your usual pyromancy spells. I believe Dorhys&apos; Gnawing to be an equal choice however, the final decision being whether you prefer fighting in melee or at range. Fear not the dark my friend, and let the feast begin. It can hit some large enemies twice if used from the right distance: first hit goes up through them, second hit comes down on or behind them. This spell hit a Onikiri and Ubadachi weapon art (Onislayer) twice. First hit the big Rock and then hit the small Rock. This spell wrecks The Crystal Sage. The stun makes it so that he cannot teleport until you run out of Focus. Like this pyromancy or not it is the only physical damage pyromancy and can be got early from a not too hard enemy with a low FP and stat cost and 1 slot. Combining this with the Sage Ring: you can easily stunlock most mid poise enemies and below. It also immediately knocks down the skeleton warriors in the Catacombs of Carthus. the rock`s coking!, by the ways the damage do not lower over distance. Is it just me, or has the vertical limit of this spell been severally nerfed? 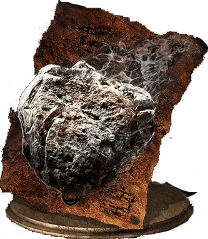 This spell single-handedly got me through the Pontiff Knights in Irithyll; was so tired of their seemingly unlimited endurance and sweeping attacks that I said &apos;to hell with them&apos; and equipped this. Stunlocking them never felt more satisfying, and with enough INT/FTH you can kill them with three rocks to the face. "...spreading chunks that stagger opponents and do heavy poise and stamina damage"
This is a good spell for a strength build I&apos;m using it with leodes hammer and quake bow Lev 90 knight class fashion souls 100.